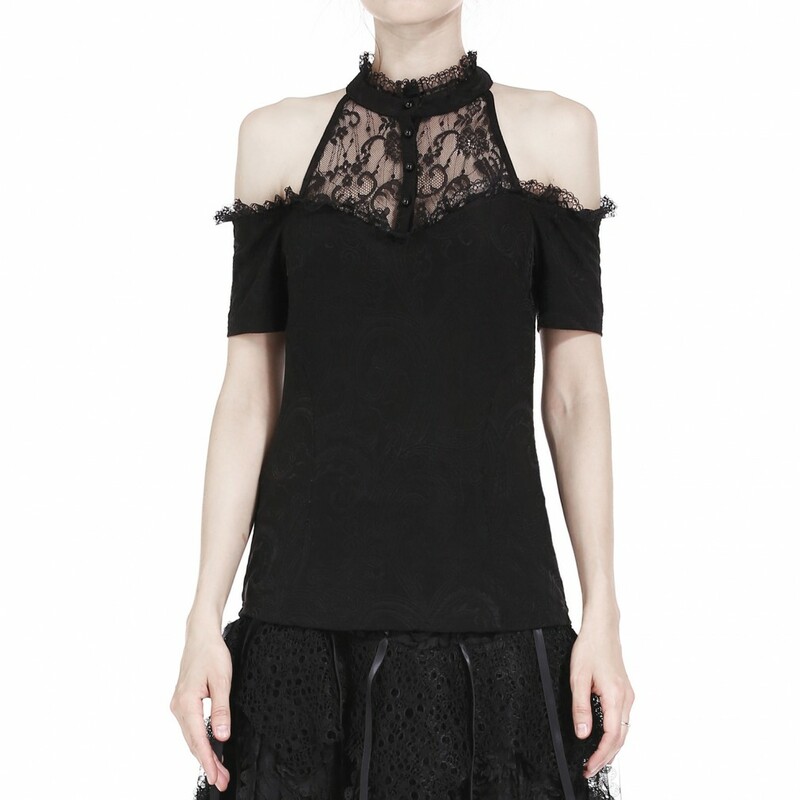 Black t-shirt with lace on the neck and at the back. Short sleeves and open shoulders. Decorative buttons on the neck.